Many writers dream of working on their favorite properties. 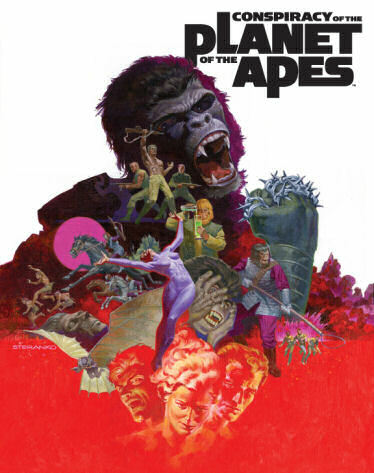 But recent Comics Experience Creators Workshop guest Drew Gaska made it happen, by single-handedly securing licenses to the Planet of the Apes and Space: 1999 franchises. And many more. Throughout his discussion, Gaska made it clear that working in licensed properties is not a way to get rich. "If you think, 'I'm gonna get a license to become rich,' then...no," he said. "If you want to be super rich, then don't go into comics. Seriously. You can become successful in comics. You can become a Bendis in comics and be awesome-successful. But you have to love what you're doing here, or it's not worth it." Instead, he said, his driving force in obtaining licenses is "to give back to the properties that I loved as a kid; that I still love. I wanted to be part of those mythos, because I thought they were amazing stuff, and I thought I had good stories to tell." Gaska also offered practical advice on obtaining a license, including how to figure out which company you should approach. 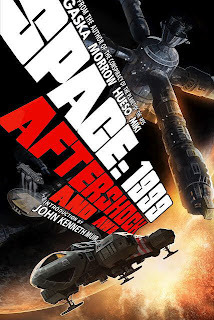 "I picked up anything I had from, say, Space 1999, and looked at it," he said. "And somewhere on the packaging it would say, Property of such and such company." Gaska added that when deciding which license to pursue, you should consider both your love of the property, and the likelihood that the license is available. "What license do you love that has not gotten very much love in a long time?" he said. "Go after it, and you might get lucky, like I did." 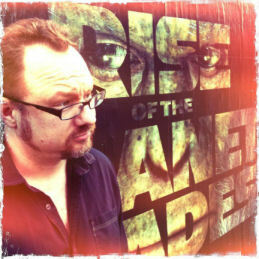 Drew's novel, Conspiracy of the Planet of the Apes, and his science fiction graphic novel epic, Critical Millennium, are both published by Archaia Entertainment, and have both been released to critical acclaim. In addition, Gaska is currently writing and directing a Space: 1999 revival graphic novel and digital media series, as well as working on other comic and science fiction novel projects. Look for SPACE: 1999 Book 1 – Aftershock and Awe, available Fall of 2012.